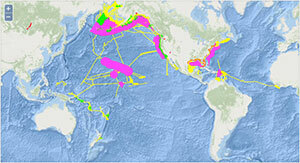 This web site is intended to provide information and access to the published data of the U.S. Geological Survey USGS Coastal/Marine Hazards and Resources Program (CMHRP). 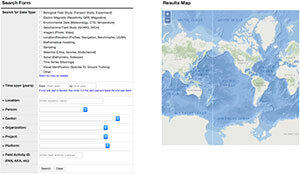 At this time it is being updated to meet the requirements of the OSTP “public access” and OMB “open data” memoranda effective October 1, 2016, and as described in the USGS publication, “Public Access to Results of Federally Funded Research at the U.S. Geological Survey: Scholarly Publications and Digital Data.” Currently the site contains information about all CMHRP data collection activities and provides access to a subset of published CMHRP data. 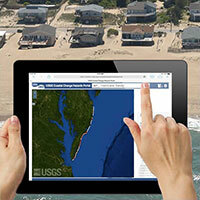 Access to CMHRP data is provided via Open Geospatial Consortium (OGC) standards services.